Karen Botha said the specialist anaesthetist "changed her life" – but two of his patients have made shocking claims against him. 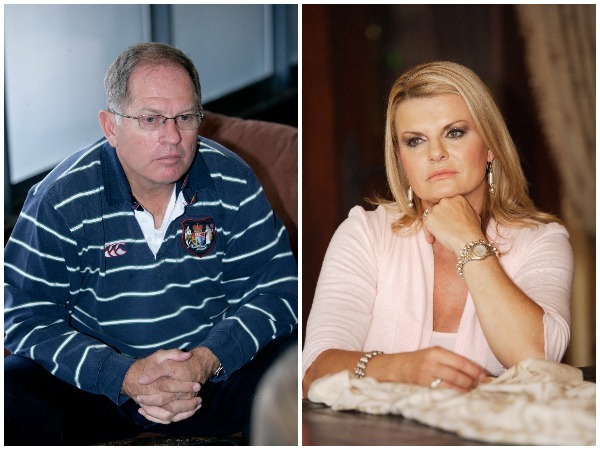 The doctor who helped relieve the pain suffered by Karen Botha, wife of rugby commentator Naas Botha, has been sued for millions by two women. Dr Russell Raath, a specialist anaesthetist at the pain clinic of the Netcare Jakaranda Hospital in Pretoria, has been sued by Salomé Janse van Rensburg (40), from Eldoraigne, and Beatrix van der Merwe (53), from Centurion. Salomé sued Russell for R5,1 million on 25 April. Salomé suffers from incomplete tetraplegia, a kind of paralysis affecting all four limbs. She received rehabilitation treatmnent in the Muelmed Hospital in Pretoria. She can walk and climb stairs – with supervision – but her muscles are very weak. It’s all very frustrating for her. “But I regard myself as a miracle because a team of neurologists said I wouldn’t walk again,” she says. In 2013 Salomé consulted Russell about severe headches. A rhizotomy, usually a small procedure, was carried out on her neck to relieve the pain. She alleges her spinal cord was damaged during the procedure. Russell denies this in his defence plea. Beatrix’s life also changed after the injections. She sued Russell for R4,6 million in June. She alleges that because of the procedure she now suffers from Brown Sequard Syndrome, which led to hemiplegia (paralysis or a degree of weakness on one side of the body) of her right side. “Now I have more pain than before the procedure. At the Muelmed Hospital in Pretoria she learnt to sit again before she began to walk with a walking ring. After that her brother-in-law helped with rehabilitation. She says after YOU’s article this year many people sent her messages on Facebook. “I haven’t spoken to a single person who didn’t have praise for him,” she says. On request Dr Russell said he wasn’t going to give “just a few thoughts” as comment on the matter, but that YOU should make an appointment and come and see him in person. YOU gave him more time in which to comment. He indicated that YOU could call his office in 10 days’ time to make an appointment.